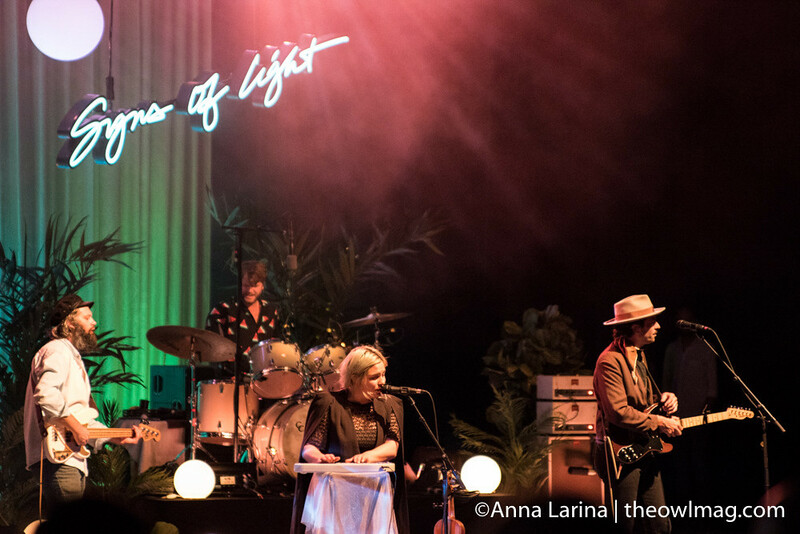 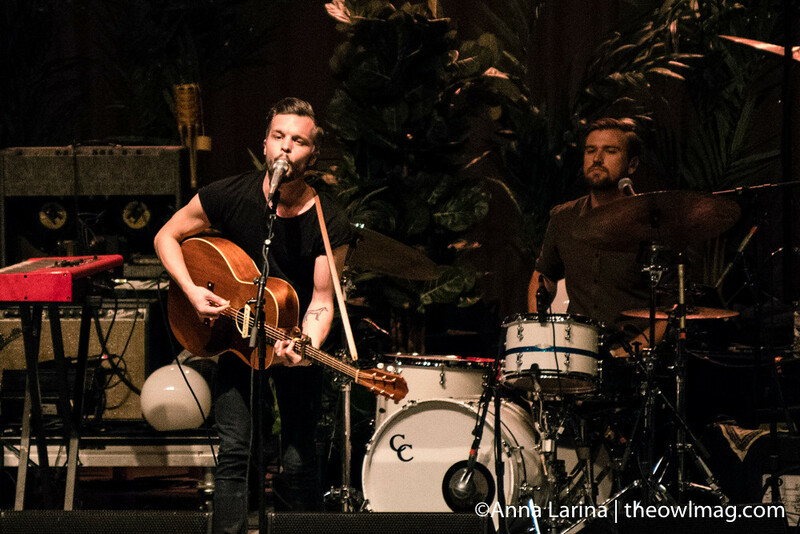 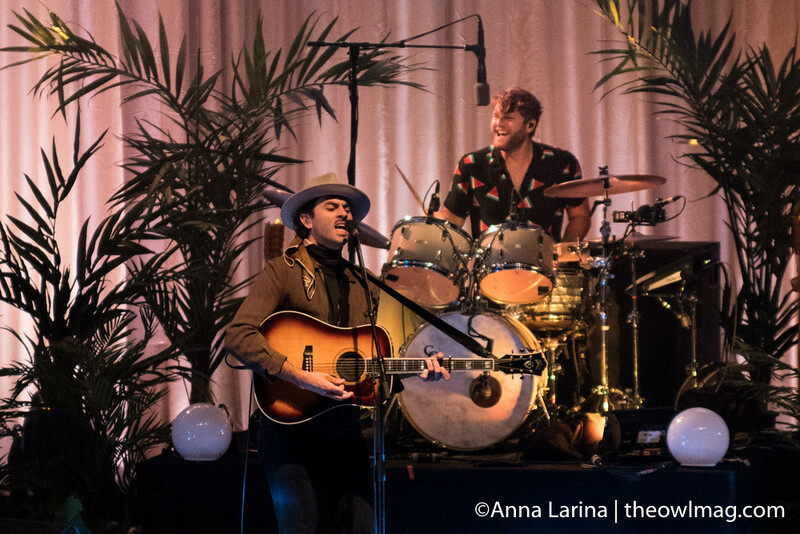 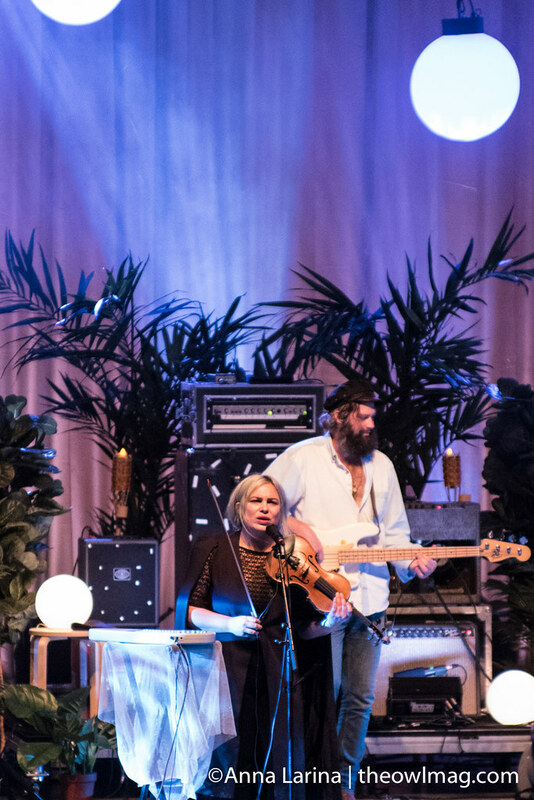 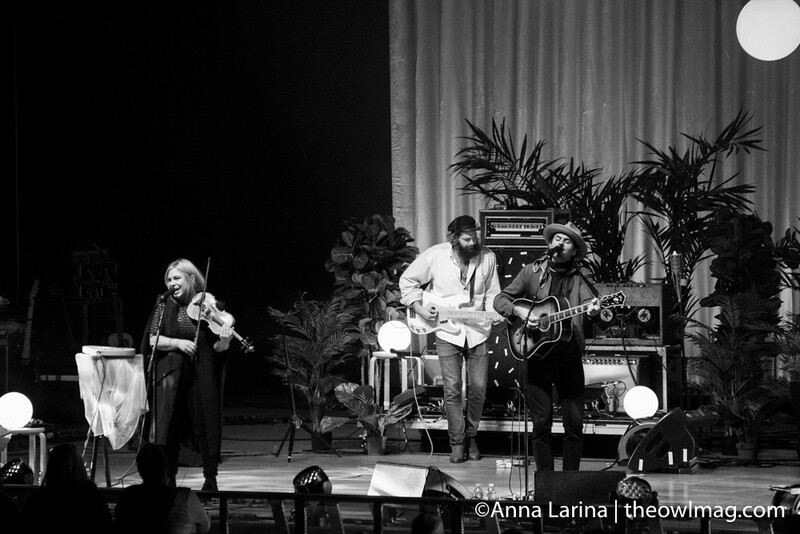 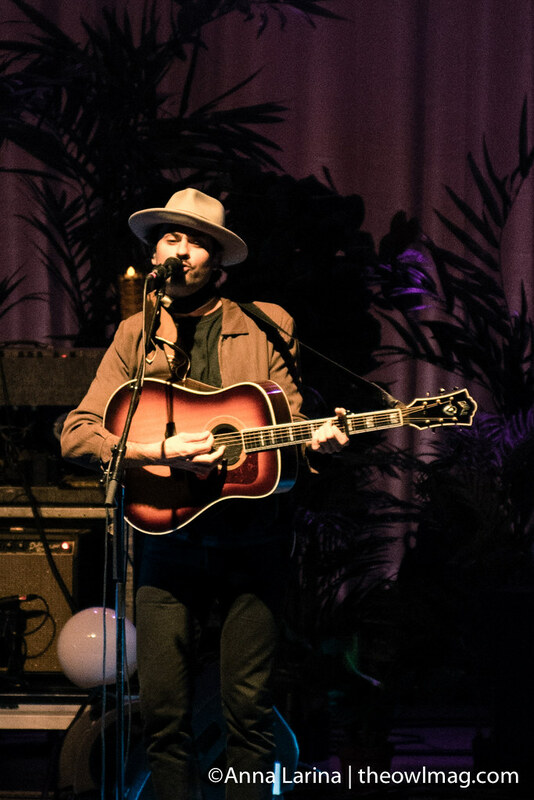 Seattle’s The Head and the Heart have been incredibly successful, and their show at the Greek Theater in Griffith Park was proof they will continue to be so. 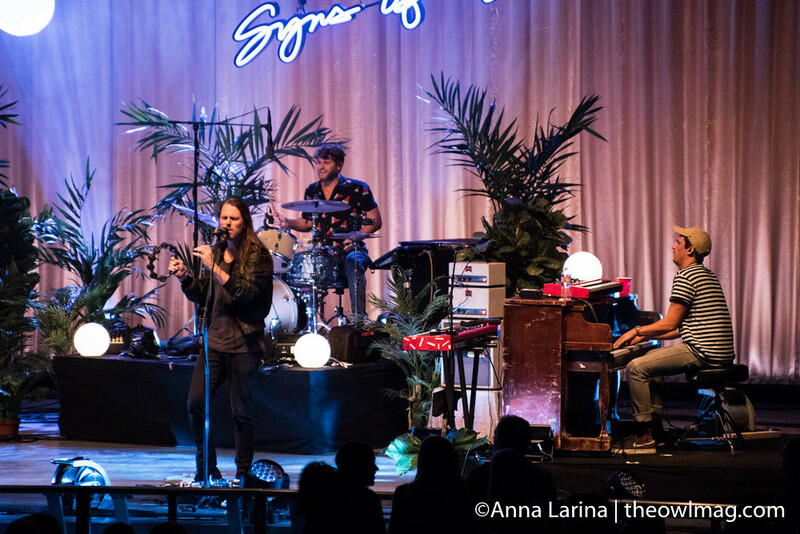 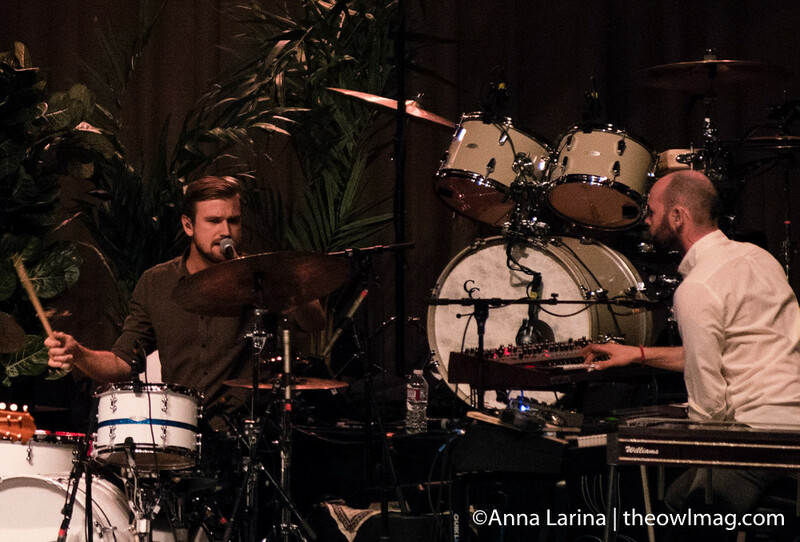 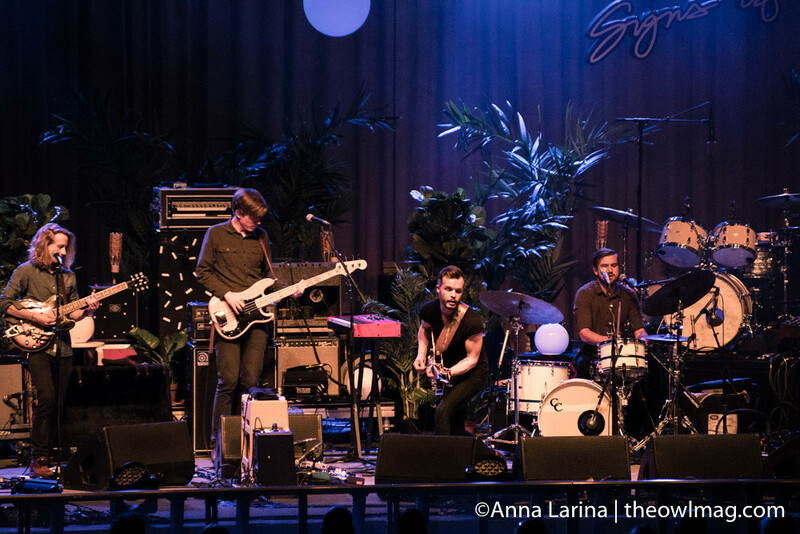 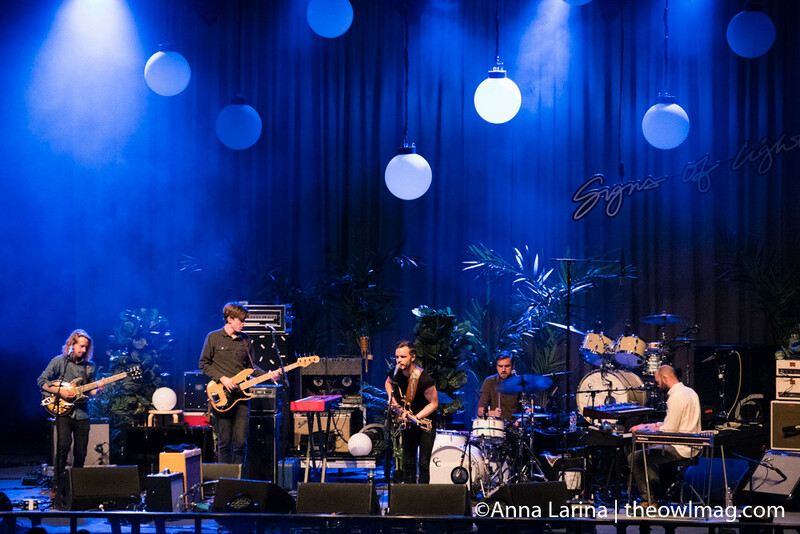 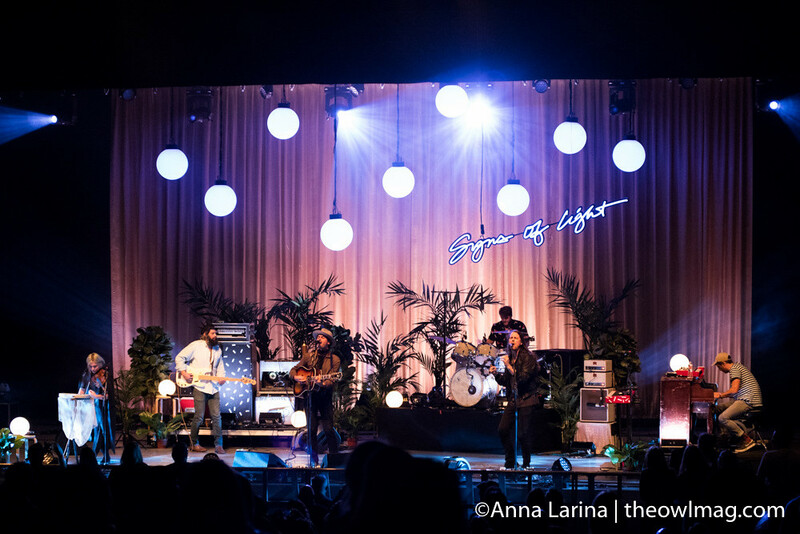 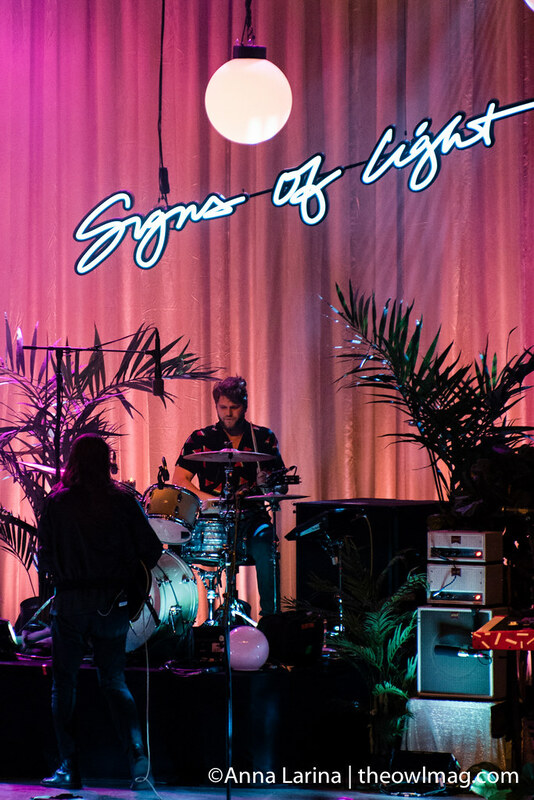 The gorgeous stage setup featuring potted palm trees before a pastel backdrop evoked ideas of Southern California, where much of Signs of Light, their new album, was written. 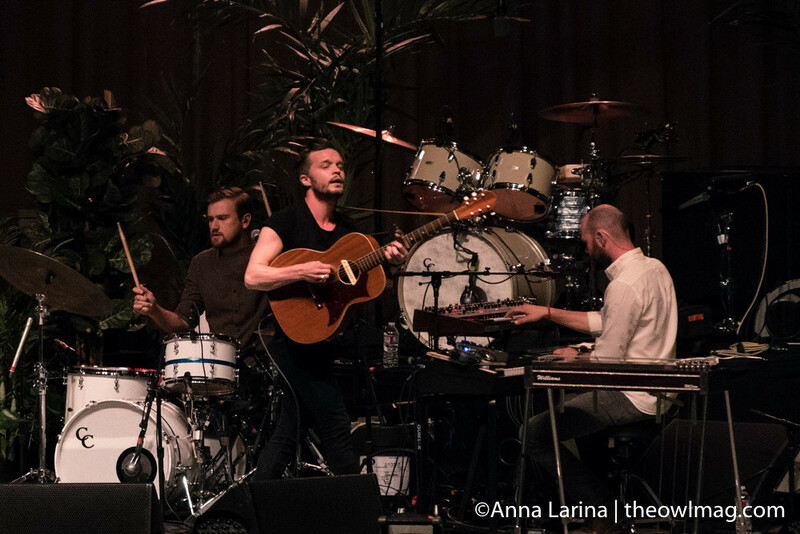 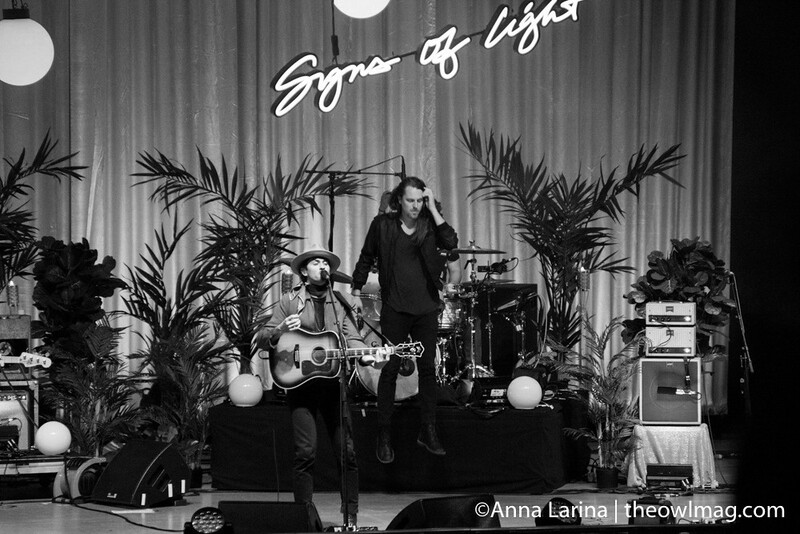 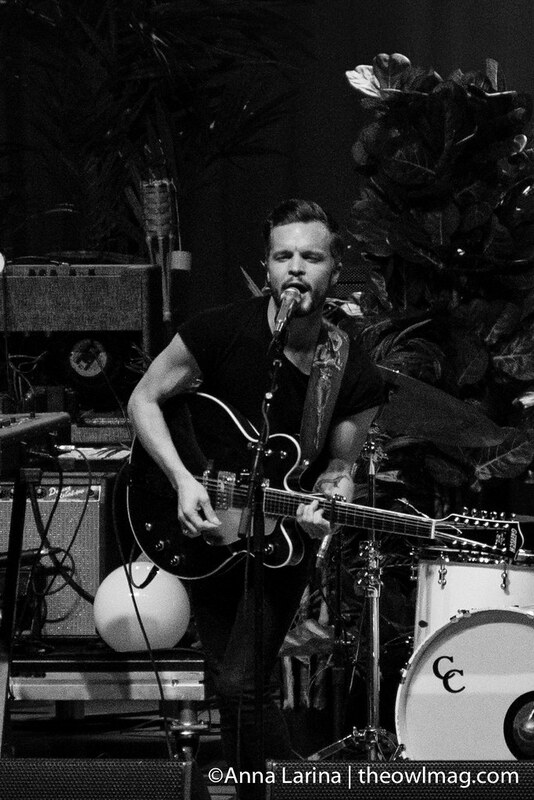 The Tallest Man on Earth, from Sweden, opened this show with a full band and played songs spanning his career under that name. 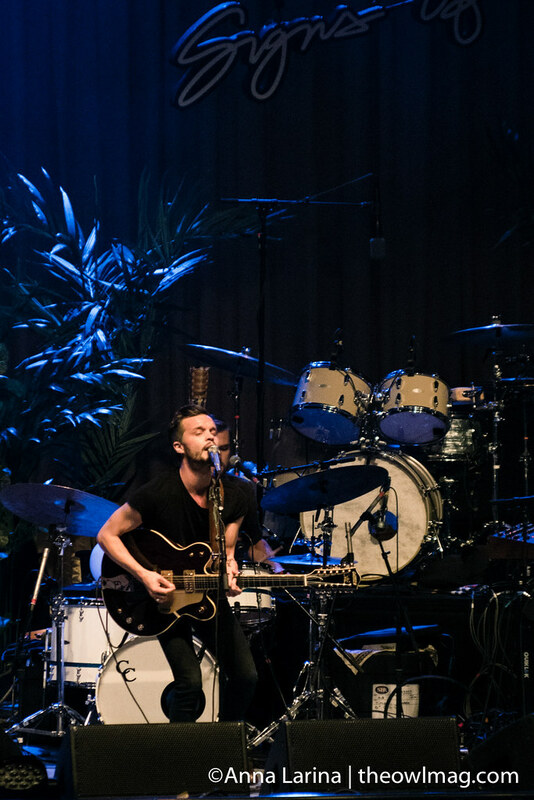 Unfortunately, he is not on the rest of the Head and the Heart’s tour, though it was a great show start to finish.